There is no need to cut bread and toast from your diet if you eat gluten free. 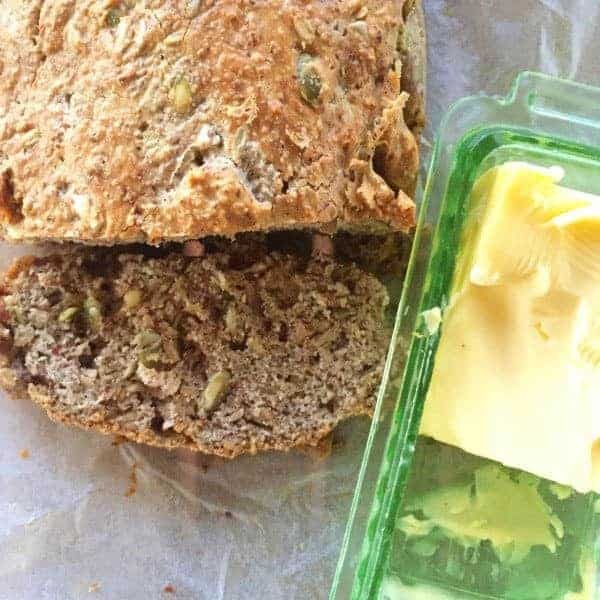 Here is my basic recipe for gluten free bread. 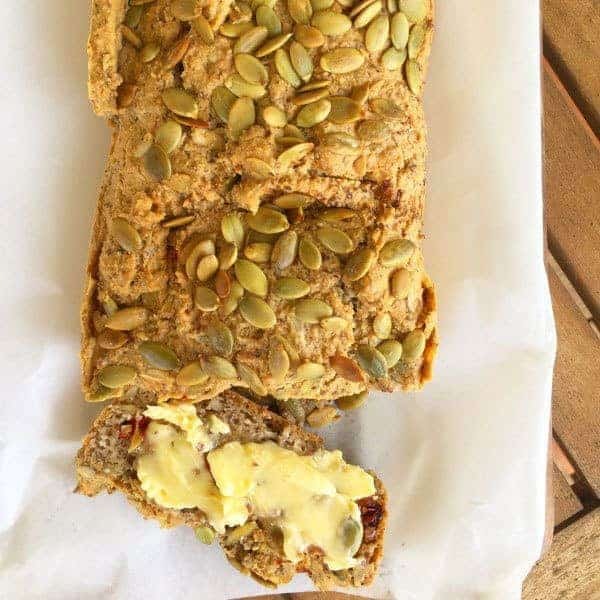 You can add whatever you like to the bread – seeds, nuts, roasted vegetables….go crazy! Mmmmmm, homemade bread & butter! Who can’t resist! !